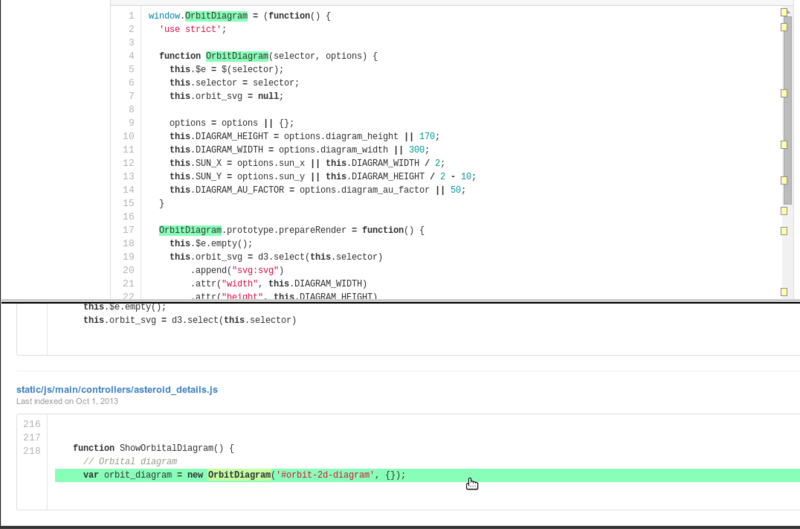 CodeNav is a browser extension that improves code navigation on Github. Install it for Chrome or Firefox, or check out the source. Hover over a variable to highlight other references and visualize them on your scrollbar. Click a variable or object to search for other instances in the same project. Hovering highlights things too, temporarily, and adds markers to your scrollbar. » Install it on Chrome or Firefox, or check out the source.